Did Trump ask the deputy Attorney General for recommendation Comey be fired? "No," said Sanders, but the two met Monday to discuss Comey's performance. Russian investigation: "Any investigation that was going on Monday is still going on today. 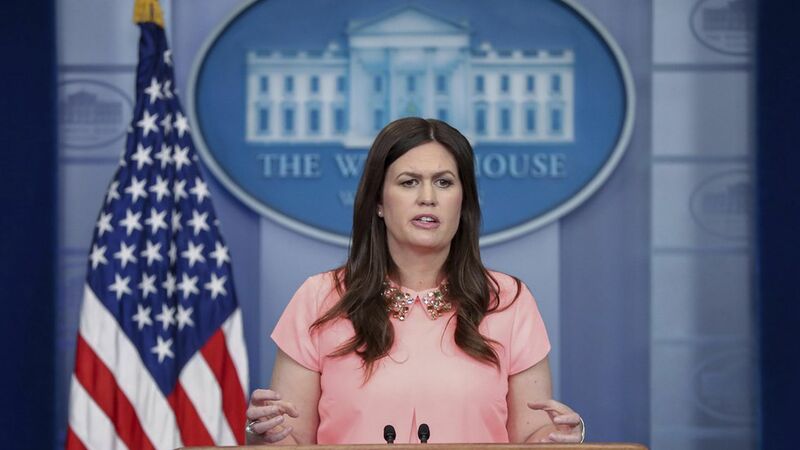 In fact, we want them to continue the investigation," said Sanders, so everyone can move on once it's over. Democrats reaction: "I think it's startling that Democrats aren't celebrating this," said Sanders. "If Hillary had won, which thank God she didn't... Democrats would have been dancing in the streets." On Trump meeting with Russian officials: "These are meetings that have been on the books for a while."